Beatriz Martin, lataina, mini_babies who i can´t find any links for. 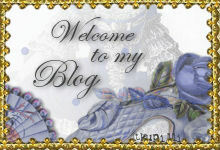 Thank you for the warm welcome and link to my blog! The link currently leads to my miniatures blog giveaway, if anyone would like to participate! Que compras más preciosas has hecho Petra ¡Felicidades!! !